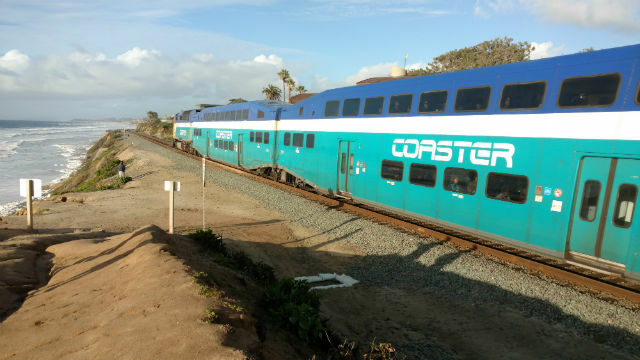 A man was killed Monday evening when he walked onto the tracks and was struck by a northbound Coaster train in Solana Beach. Deputies responded at about 7:20 p.m. to the 100 block of North Cedros Avenue, about a half-mile north of the Solana Beach Transit Center, according to San Diego County Sheriff’s Department Deputy C. Campbell. A northbound Coaster train was traveling approximately 40 mph when its engineer spotted a man who had walked in front of the train, Campbell said. The engineer applied the brakes but was unable to avoid hitting the man, Campbell said. The victim was pronounced dead at the scene, Campbell said. The tracks were cleared and service resumed around 10 p.m., according to the North County Transit District.